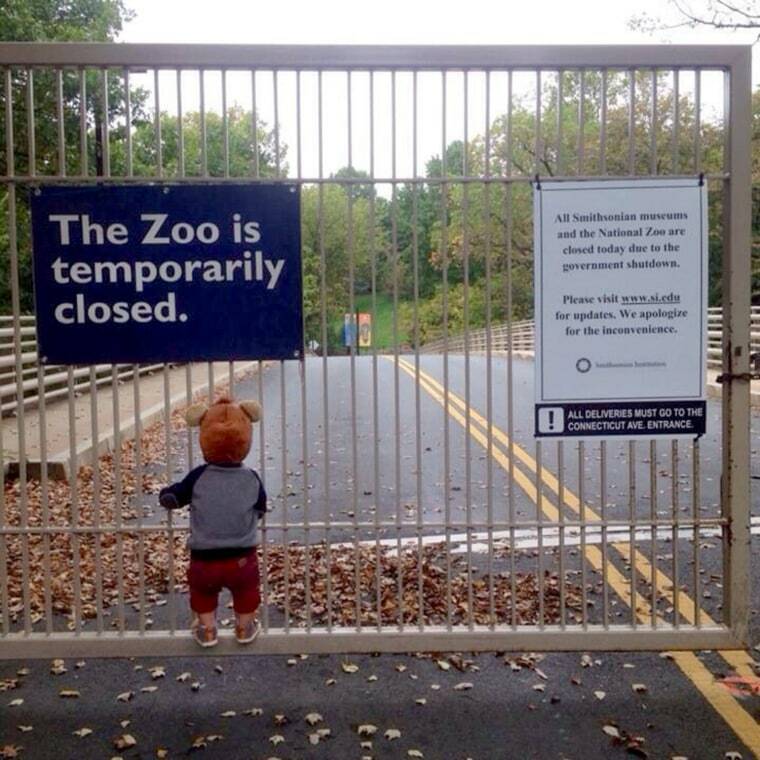 A picture of a small child in a monkey costume is quickly becoming the unofficial symbol of the government shutdown. The zoo also attracted national attention at the beginning of the shutdown when the budget impasse prompted its popular “panda cam” to go dark. The Reddit user who posted the photo, superbonnie, said she got the picture from her friend, the child's grandmother, although the boy's father actually snapped the photograph. "The family doesn't want any information released about who they are or where they're from at this time," she said when contacted by CNBC. While no one questioned the picture's poignancy, some did question whether the photo was staged specifically to make a political statement. "We are supposed to believe that with all of the news of the shutdown that this kind hearted wonderful parent dressed the kid up, put him/her in the car, excitingly talked about how awesome the zoo was and then discovered to their horror that it was closed?" Reddit user Zapopa wrote. Others said they didn't care. "Call me a sucker, but I could see someone bringing their kid to the zoo. I have seen posts of people going to parks in the hopes the park is open, only to find the park closed," wrote Reddit user petedacook. "Yes, this actually happens. Not everything on Reddit is staged for Karma." How popular is the photo? It could be a meme in the making.